I can't tell you about Sunday -- our first real day on the beach -- without first giving you the Annual Wal-Mart photo. We're feeding 24 people for six days, which takes a lot of food and paper products. And also enough carbonated beverages to feed a small foreign nation. Such as France. So, all carbonated up, we were ready to face Sunday with a vengeance. 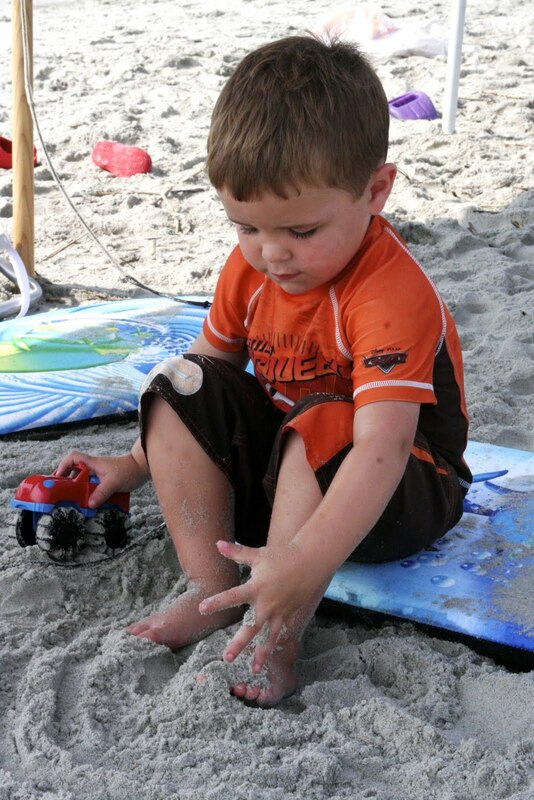 Jake wanted to play with every beach toy owned by every family member under 9. 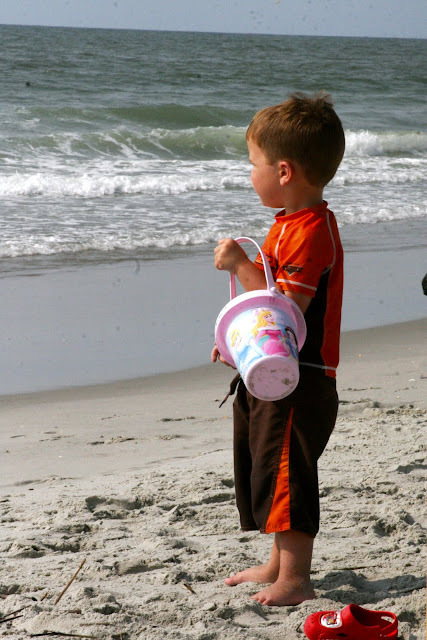 For whatever reason, he preferred watching the other kids in the water from the safety of the sand. I know that will change, probably today, but yesterday it was just the way he felt. The whole day was pretty much a blend of smiles, sand and sandy snacks. 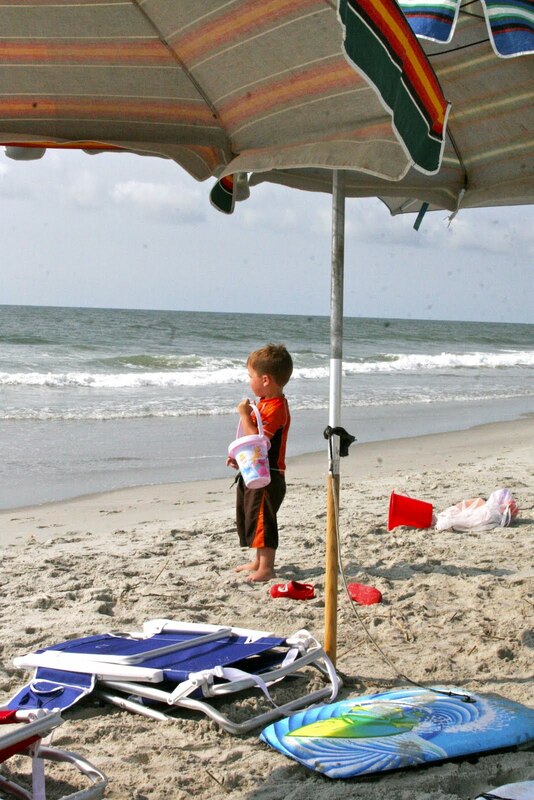 Andrew staked out a spot from which he could keep an eye on the big boys in the ocean. He was precariously close to the spray from the big hole the kids had dug earlier in the morning. 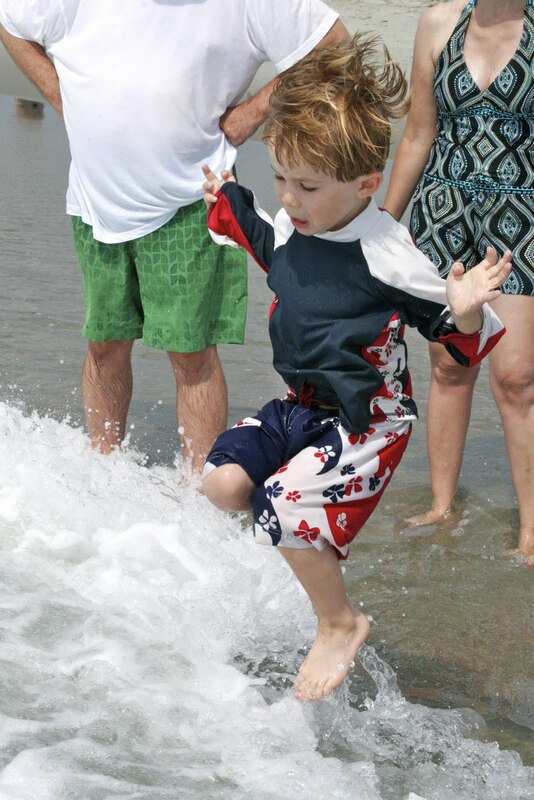 Nicholas spent equal time in the water vs. on the beach. I don't know how much Jake remembers from the last three years at the beach, but he's just as enamored of the beach as he ever was. Keeping eyes on the 14 kids is a full-time job. It requires a lot of concentration, as Adam and Gary demonstrated. The kids are already tired and we've only been here one day. But it's totally worth it. Boys and girls alike, they're all having a fantastic time so far. I missed a lot of shots yesterday because I was only on the beach for a couple of hours, but I hope to catch many more of them in action today and the rest of the week. After all, there are so many more waves to ride. Many, many more waves to jump. And many, many, MANY more satisfied smiles to see.